You have 12 hours in Istanbul. Where would you go? Its a hard decision to make. There are plenty of choices and alternatives. Would you go see the old city and visit the most famous temples of Istanbul: Hagia Sophia, Blue Mosque or Suleymaniye Mosque or do you fancy having a private cruise along the Bosphorus Strait and afterwards sit down for a relaxed lunch at one of those nice fish restaurants? How about an afternoon walk through the pedestrian Istiklal Avenue which has the nicest examples of 19th century Art Nouveau movement and listen to street musicians as they make their own music? 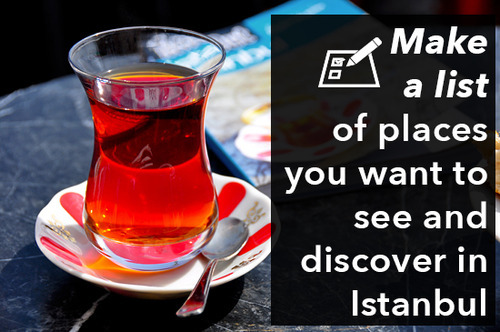 This post is to help you plan your perfect day in Istanbul. Whether you visit the old city or do the other alternative areas of Istanbul make sure to read our one day guide before you plan your day. Istanbul is a huge city. Its approximately 5000km2, which means its nearly three times bigger than London. First, make a list of places you want to visit and then do a research on how to move between these different areas. 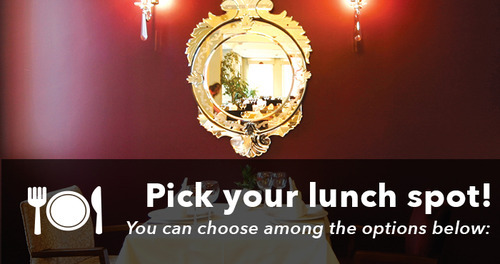 2) Pick a nice lunch spot! Especially if you are staying at Taksim, Galata, Karaköy or Sultanahmet area the tram is a good option. Starting from Kabataş towards Eminonu, Sultanahmet and Grand Bazaar tram is one of the most convenient ways to travel in Istanbul. It runs between 6am-midnight. One way token for tram is 4 Turkish Lira. Istanbul is like Venice, but perhaps x100 bigger! Sea transport plays a very important role in Istanbul’s daily life. Ports of Istanbul are connected with public and private boats. Kadıköy, Üsküdar, Beşiktaş, Kabataş, Karaköy and Eminönü are among the most busy ports of Istanbul. Karaköy to Kadıköy is approx. 20 minutes cruise. Or Uskudar to Beşiktaş is fifteen minutes cruise. If you are to change continents it’s highly recommended to use the sea transportation. There are also private companies offering Sea Taxi service. Contact us if you need private sea taxi arrangement both during the day or night. This is of course the best and most comfortable way to discover the city. As you tour Istanbul on a private car with a professional driver, you can save your time and make the most of your 12 hours stay in Istanbul. It is also possible to combine private car rental with the public transportation. You can do pedestrian areas such as Istiklal Avenue on foot and have your private car whenever you need it. You don’t necessarily need a private car if you are going to visit Sultanahmet area since you will be walking the whole day. 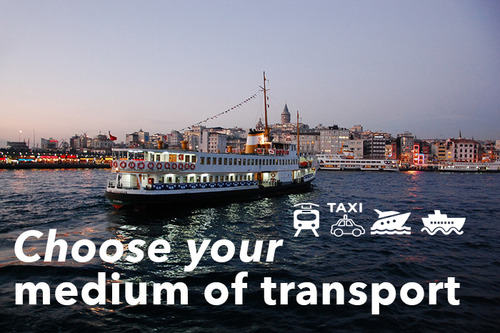 However, if you are staying at Beşiktaş or Ortaköy area, you might consider having a private car. Contact us if you need further information about the private car with a professional driver. What’s the most convenient day to tour Istanbul? Weekdays are always nicer than weekends. But don’t worry if you are coming to Istanbul on a weekend. Just remember that the historical monuments, museums and touristic attractions are very crowded between 11am – 4pm. If you plan your sightseeing times before 11am or after 4pm, you won’t get affected by the weekenders. Most of the museums of Istanbul open at 9am and close earliest at 6pm during the summer season. 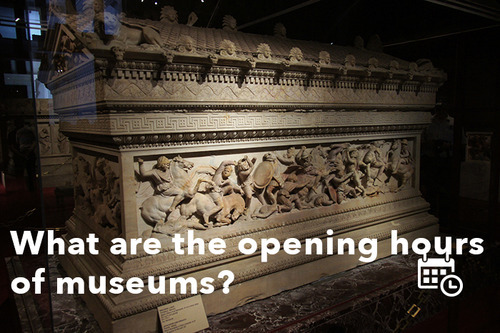 Are the museums of Istanbul open all week? NOTE: Almost all the art galleries in Istanbul are open from Tuesday-Sunday. (closed on Mondays) Most of them open earliest at 11am.